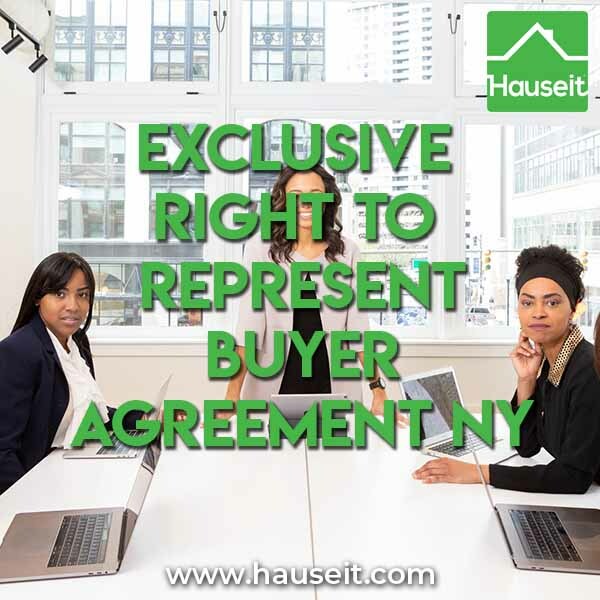 Do home buyers normally sign an Exclusive Right to Represent Buyer Agreement in NY? Is it required or just the norm? What about buyers in New York City? Home buyers in New York City are typically free agents and are not expected to sign an Exclusive Right to Represent Buyer Agreement. This is due to the intense competition for buyers in NYC from over 50,000 licensed real estate agents as well as the ease of transportation in New York City. Buyers can easily visit open houses by themselves and visit multiple properties in the same afternoon simply by walking, biking or taking the subway. However, signing an Exclusive Right to Represent Buyer Agreement in the rest of New York State is quite normal simply due to the greater amount of work involved in seeing properties. Houses in suburbia are located much farther apart, and a local real estate agent may have to drive prospective buyers around in order to see multiple listings. As a result of the greater time and resource investment of a New York State buyer’s agent, home buyers are expected to work exclusively with their buyer’s agent. [Brokerage Legal Name], a licensed real estate broker with a mailing address of [Address], herein referred to as Broker, and establishes the Broker as Exclusive Buyer Agent in assisting Buyer in acquiring interest in real property as herein specified. Term: This agreement shall be effective as of date signed and it shall continue in full force and effect for 180 days after the execution date of this agreement. If this agreement expires while Buyer is in contract to purchase, Buyer agrees to extend the agreement until the day the Property closes. Authorization: The Buyer’s Agent is authorized to negotiate for a commission paid by the seller. The payment of any commission under this agreement by the seller from the sales proceeds will not make the Buyer’s Agent either the agent or sub-agent of the seller. Buyer Agency: Buyer hereby appoints Broker as Buyer’s Exclusive Agent, and agrees to conduct all negotiations for real property through Broker, and to refer to Broker all inquiries from prospective sellers and their agents during the term of this contract. Broker will make diligent efforts to locate and present appropriate properties to Buyer, to negotiate an acceptable offer on property, and to assist in the completion of the transaction. Disclosure: Broker shall inform all prospective sellers or their agents at the time of initial contract that Broker is acting in the role of a Buyer’s Agent. Broker will not disclose confidential information about Buyer without prior consent. Buyer will disclose to Broker all relevant personal and financial information. Professional Advice: Buyer acknowledges the need to obtain professional advice in matters of law, financing, construction and other matters beyond the Broker’s knowledge of real estate and Broker assumes no liability for Buyer’s failure to do so. Other Buyers: Buyer agrees that Broker may show or present the same property to other prospective buyers. Assignment: Buyer may not reduce any of Broker’s rights under this contract by assignment of rights or interests. Modification: This contract represents the entire agreement between Buyer and Broker, merging all prior agreements, and any modifications of any terms of this contract shall be in writing and signed by both parties. This is a legally binding contract – if not fully understood, seek competent legal advice before signing. Why do I need a buyer's Realtor in New York? The seller has typically already agreed to pay a fixed commission regardless of whether the buyer is represented or not. In other words, the seller is going to be paying for the cost of your representation regardless of whether you choose to have a buyer’s agent or not. If you decline the opportunity to have a buyer’s agent guide you through your home purchase, you simply give the listing agent a windfall double commission! Why would you want a dubious dual agency relationship with the seller’s agent in the first place? Furthermore, most suburban properties outside of New York City have a lock box system that is often only accessible by agents. For example, HGAR agents in the Hudson Valley use the Supra keybox and associated eKey smartphone app. It’s very easy for HGAR agents to access any HGMLS listing through Bluetooth on their smartphone; however, it’ll be very difficult for you as a direct buyer to do so. 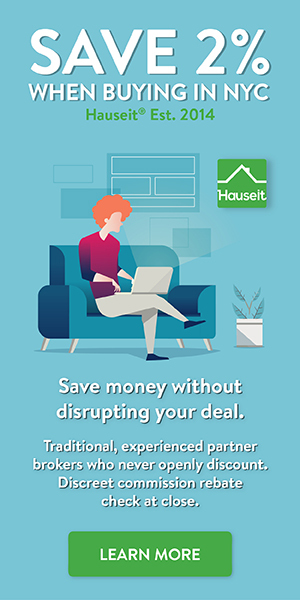 You will literally need a buyer’s Realtor that’s a member of HGAR and the HGMLS to be able to physically access most property listings in Westchester, Bronx, Orange, Putnam, Queens, Dutchess, Ulster, Rockland or Sullivan Counties.